It used to be that if you couldn’t get your novel published it was because you probably couldn’t write very well. Discerning editors at the big publishing houses stood between you and the reading public, wading through and rejecting the trite, the clunky and the just plain bad manuscripts, in favour of novels with depth, nuance, rich themes & vivid characters. They were looking for good novels in other words; ambitious, thought-provoking novels that might win an award or two. But later as things started to ‘thin out’ (minds & sales for instance) they were on the lookout for more commercial fare, something that might be really popular, something that might pay a few bills. Now back then, if Ted down the hall was absolutely determined to get his novel, “Who Wants My Orange?” out there and the publishers were not biting, he might turn to vanity publishing. Pay out-of-pocket for an ISBN and a few thousand copies and then get out there & really beat the sidewalk, getting booksellers interested and pushing Orange towards his public. This just never worked. Now though some time has passed and Ted, having failed once again to interest a publisher in his new novel, “I Want My Orange Back!” can simply throw it up on Amazon for a Kindle download. With a few keywords & some blurb, Ted’s sequel gets dangled in front of thousands of perspective buyers. They can read the first page and for dollar or two, what the hell, they might give it a try. Hey and you know what? 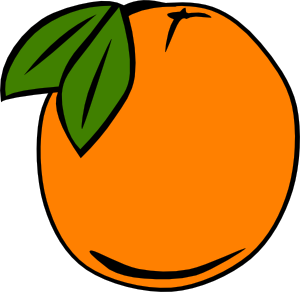 I want My Orange Back! really resonates with some readers. It sells. Now imagine there are thousands of people like Ted, writers who don’t even bother to submit query letters to publishers any more because it’s an uphill struggle and they know that publishers no longer promote their new releases anyway – that’s become the author’s job. So they might as well just go ahead and float their baby on Amazon & see what happens. Most of them sink but some of them fly. Now imagine you’re a publisher, are you going to wade into that massive, stinky slush pile looking for the next Girl With An Orange Tattoo or are you going to log on to Amazon and see which ‘unpublished’ authors are actually selling? Yeah you’re right. Why pay a comparative lit grad to trawl through all that paper when you have the public’s pulse right at your fingertips? “Get me Ted’s number, we’ll offer him X$$ for his Orange and get it on the shelves for Christmas.” So from the publishers perspective Amazon functions as this huge test audience. The public gets what it wants the publishers get a paper bestseller and everyone’s happy. Apart from your old timey discerning editor who becomes a quaint anachronism, ends up working in Starbucks, bemoaning the absence of weighty, dense, rich, themed novels to a divorced woman who comes in everyday for a spiced latte and ends up picking his brain because she’s writing a huge, really good novel which the world needs to read and she’s going to upload it but he wants to agent it & get back in the game and they fall in love and they fight and her son is a recovering alcoholic and his daughter is gay and his ex-wife sees that he’s more driven than he has been in years & she starts sniffing around…. This is great – get me a pen – this is going to blow up on Kindle… Yes I’m going to upload to Kindle. Why the hell not? I have a draw full of top shelf material that those fools couldn’t appreciate. Finally the recognition I deserve is just a few clicks away. Hahahahaha. Watch This Space! This entry was posted in books, e readers, kindle, Paradigm Shift and tagged books, e-books, Kindle, novels, publishing, reading, slush pile. Bookmark the permalink.